Sade and Jackie have been best friends since they were little, but a dangerous habit may drive a rift between them forever. 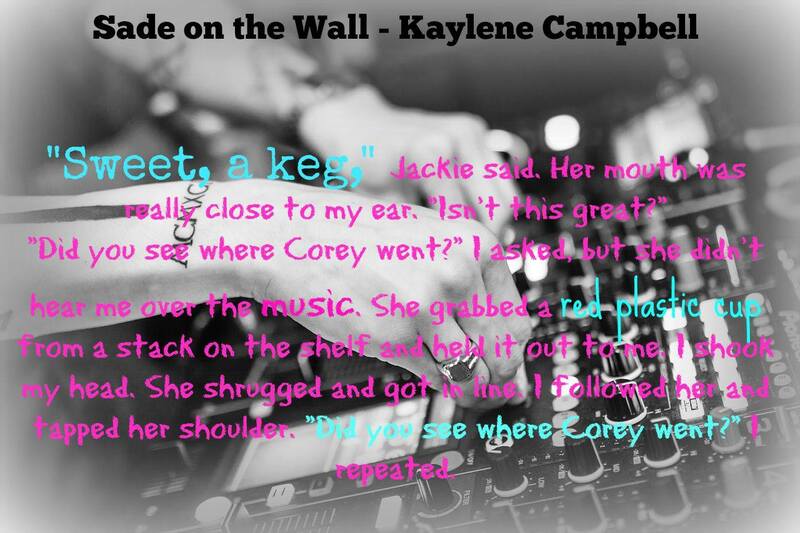 When Sade finds out that Jackie has been attending raves, she doesn’t think it’s a big deal—until she discovers that Jackie has an even bigger secret. Sade soon finds herself lying to the people she loves most in order to cover for Jackie. Caught in Jackie’s web of self-destruction, she tries to do her best to honor the best friends code of secrecy. As things spin more and more out of control, though, Sade realizes there is only one thing she can do to save Jackie. 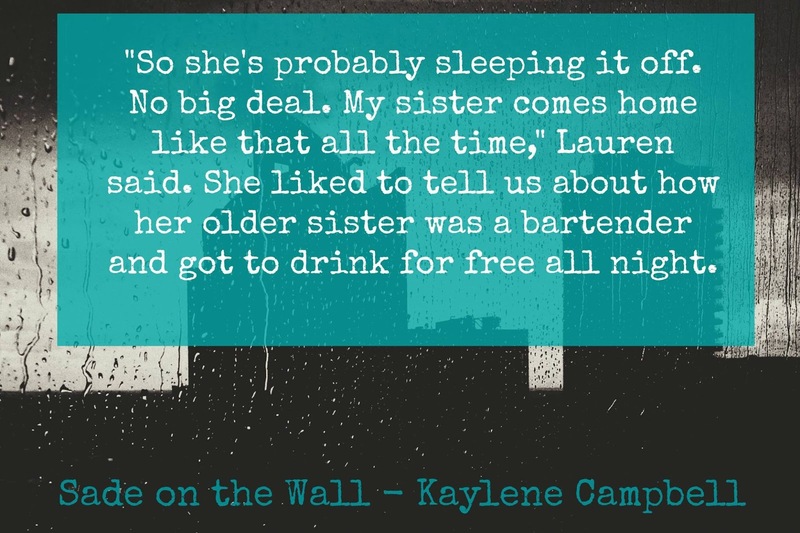 Sade on the Wall is a poignant, raw coming of age story filled with suspense, tough choices, and heartache. Delving deep into the world of teen drug addiction, it will strike a chord with both teen and adult readers. Kaylene Campbell believes in spreading the message of prevailing hope, even in the darkest times. She writes suspense novels for teen readers that focus on substance abuse and mental illness. 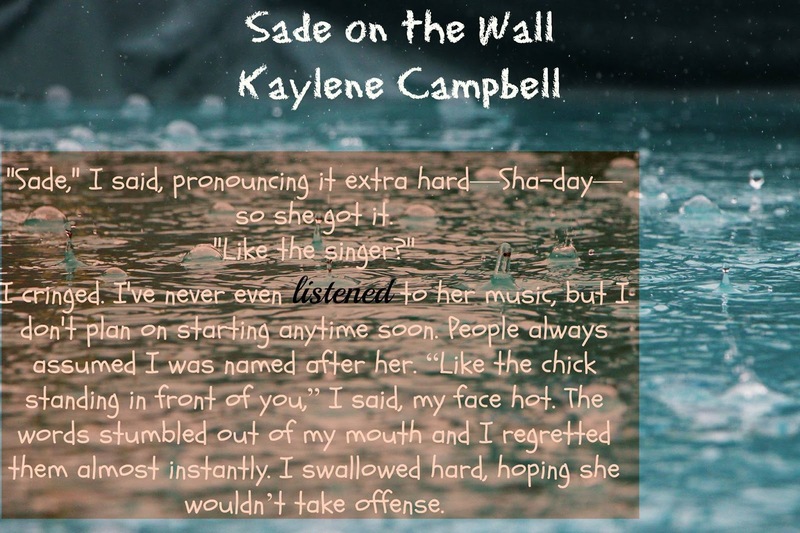 Partially based on experiences from her own life, Sade on the Wall is her first novel. 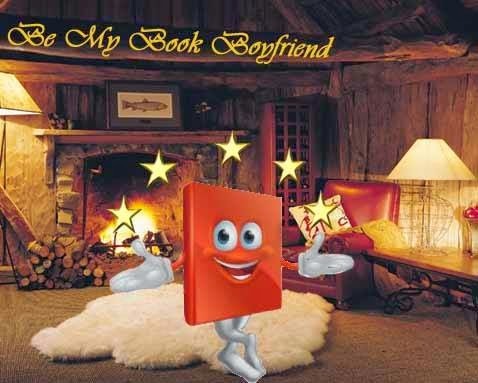 Kaylene started writing at a young age, but only recently began pursuing her dream of being a full-time author. Though she has traveled all over New England and the East Coast, Kaylene makes her home in Connecticut with her husband, the mixed media artist Michael Campbell. 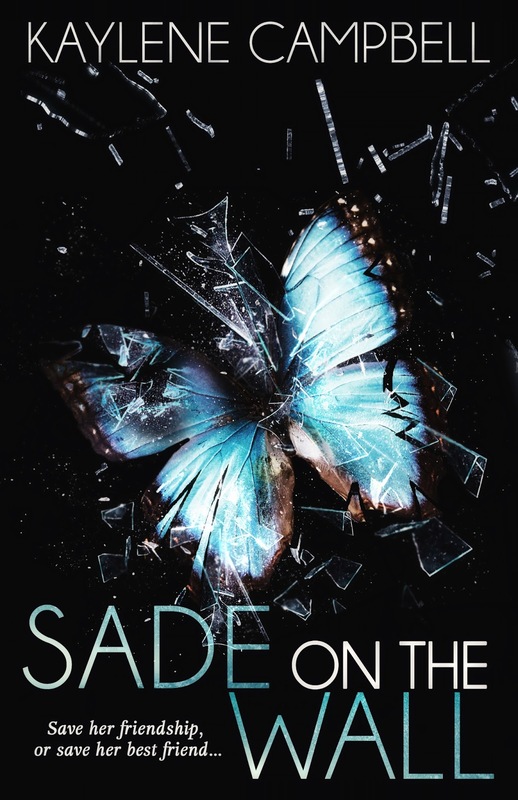 I enjoyed reading this Young Adult story; Sade on The Wall, is written in a brilliant and smart way. This is a poignant and realistic coming age story, about a girl, Sade and how her best friend Jackie, falls into a downward spiral. How could she help her without jeopardizing their friendship? Being fifteen, is the age of all the experiences; first love, temptations, and sometimes making the right choices could be hard, especially when you’re being influenced. Sade is a teen, with two moms, a brother (Corey) and has been best friend with Jackie since their childhood. This year, things getting different, and Sade and Jackie weren’t following the same path; little by little their friendship was strained, through Jackie’s reckless behavior. Wanting to do what’s best to protect their relationship, Sade wasn’t making the right choice by keeping her secret. While Jackie was gone a lot through her nights escapades and missing skipping school, she met a boy (Trent), and surprisingly they became very fast friends and maybe more. Ah butterflies!! She wanted to share all her excitment but she became a stranger, and used Sade as an alibi each time she needed. I really appreciated how the author shows the values of family, friendship, how no matter what these two kids can always talk to their mothers. There’s also a great message of tolerance and understanding through Corey’s story and also with their family. As the story unfolds, Jackie’s problems became Sade’s too; and she had to face the truth; her friend needed help. For sure, she was stubborn and could face it at first, but she’s only fifteen and knowing that her best friend didn’t have the best family model. Hopefully she had great friends, and family, but when it was time to take things to another level; something happened. Life would be never the same for Sade. I read it very quickly, and I was captivated by Sade’s story, how Jackie’s problems was impacting everyone. Strangely, the ending was raising so many questions and I wanted to know the truth, to have some closure concerning Jackie’s disappearance. This kind of story tackles with real life issues that teenagers will have to face, but it left me wondering and guessing, but I think a younger reader would find more interest than a thirty yo.